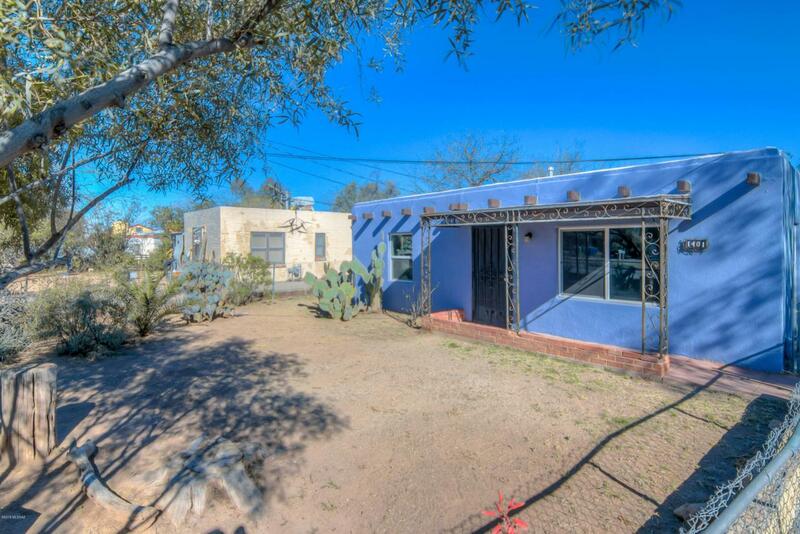 Convenient to UA and just off the Mountain Avenue Bike Path, this classic 1949 masonry/stucco Santa Fe is well-maintained and move-in ready with home warranty included. This home features double-pane windows, a new gas kitchen range, ceiling fans throughout and is freshly painted. 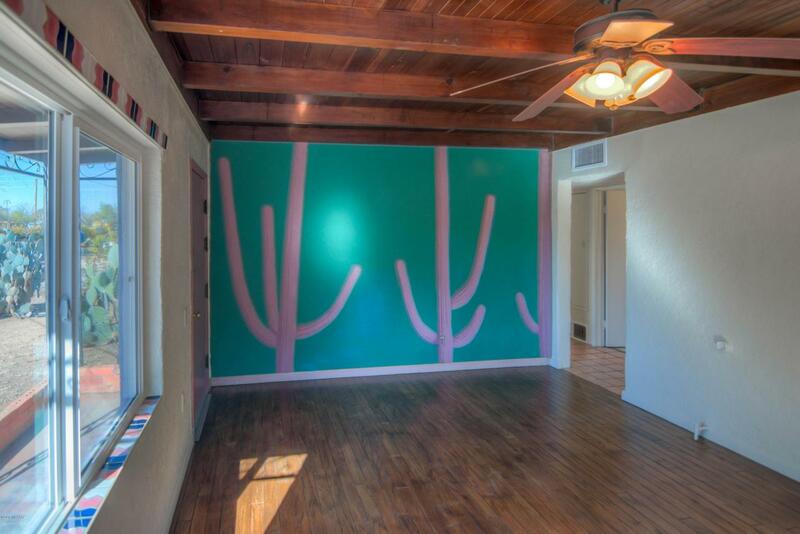 The beautiful living room features hardwood floors, beamed ceiling and even a wall mural by a Tucson artist. 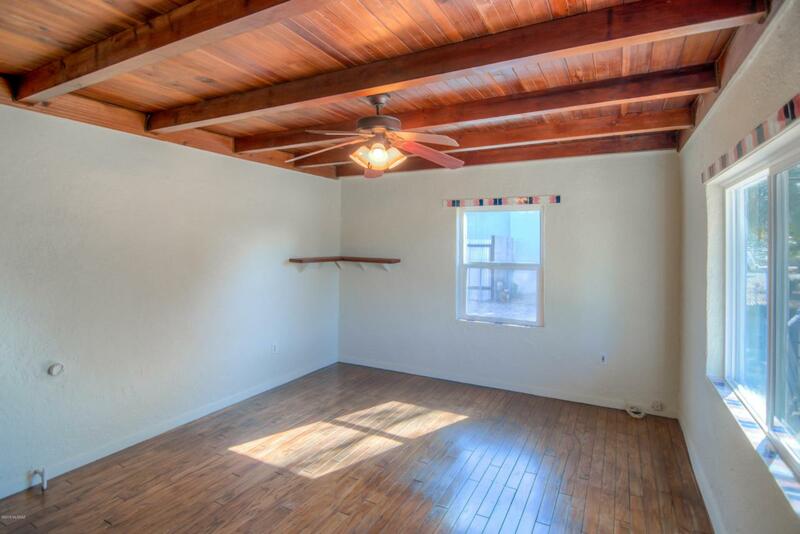 The two bedrooms have lots built-in storage space and gorgeous beamed ceilings, and the master has hardwood floors as well. Outside you will find a shady back yard with covered porch and a large brick patio. 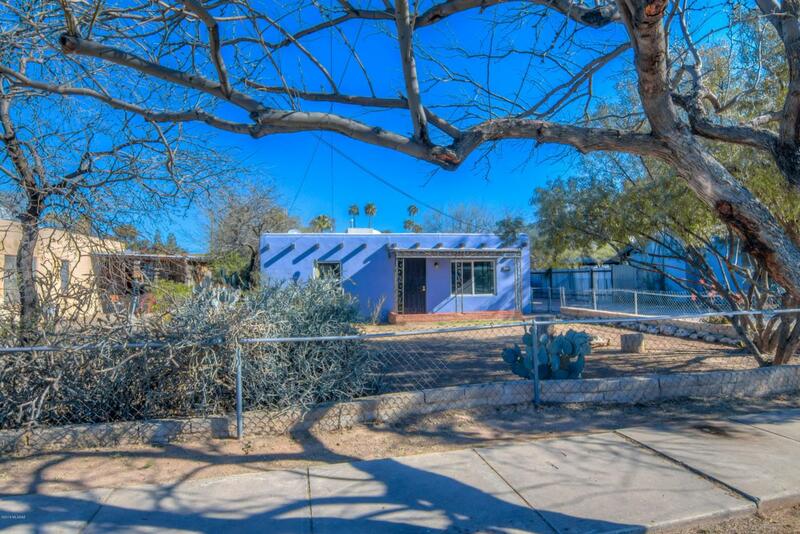 Convenient to UA, and great coffee and dining along the Campbell Avenue corridor.